The STORGARD® product line provides early-warning detection of potentially damaging insect infestations during processing, transport, warehousing and marketing of foods, and other commodities. Proper use of these products can reduce losses, increase the quality of stored foods and save time and money. 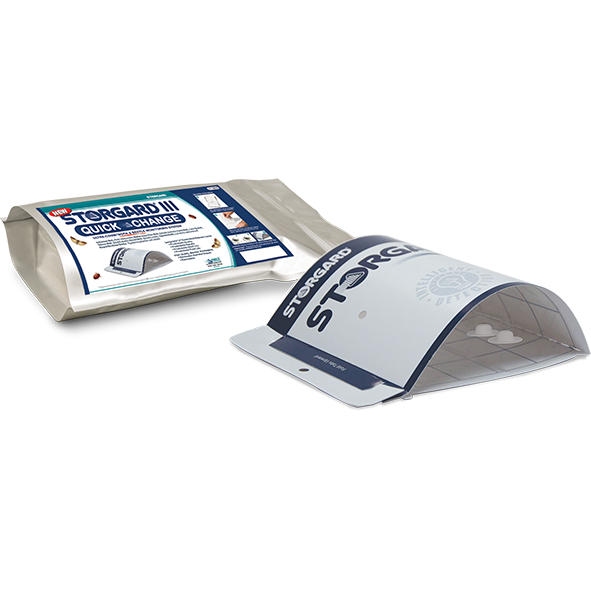 The STORGARD® III Trap is the industry standard for moth control, disposable, easy-to assemble & replace. STORGARD® III WCCM Combi Kit that attracts the following.